Our ridge cap flashing roof Roll Forming Machine is to design to produce required sizes of roof ridge cap sheets. There're kinds of ridge cap machines with different designs. 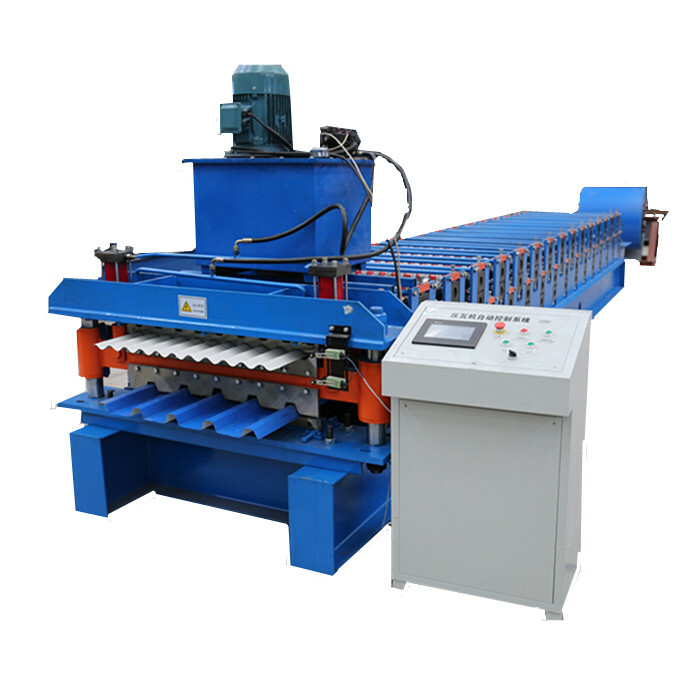 The roofing Flashing Forming Machine is full automatic drivin by hydraulic station and motor. Speed can reach 15m/min, save labor and time. JCX ( Golden Integrity Roll Forming Machine Co.,Ltd.) is a company specialising in the field of Cold Roll Forming machines and metal sheet processing. We are developing various cold roll forming machines for roof tiles making, ceiling metal frame and welding pipe machine, which are used in the following areas like construction industry, automotive industry, packing industry. JCX factory was built in 2000 and its machins have been sold more than 70 countries, so please trust us. With us, create your own cold roll forming world. 2). The subjects can be loaded in one 20' container. 3). Package style: Covered by plastic film, spare parts and some small parts packed in carton box. Our main product : C Z purlin roll forming machine, roof sheet roll forming machine, guardrail/Crash Barrier Roll Forming Machine, rolling shutter Door Roll Forming Machine , roof ridge, downspout pipe machine ,rain gutter machine etc. Any interest, just contact with us for further details ! Looking for ideal Roof Ridge Cap Roll Forming Machine Manufacturer & supplier ? We have a wide selection at great prices to help you get creative. All the Roof Flashing Sheet Forming Machine are quality guaranteed. We are China Origin Factory of Flashing Sheet Roof Machinery. If you have any question, please feel free to contact us.